Today, USA grown pears are commonly available 12 months of the year. 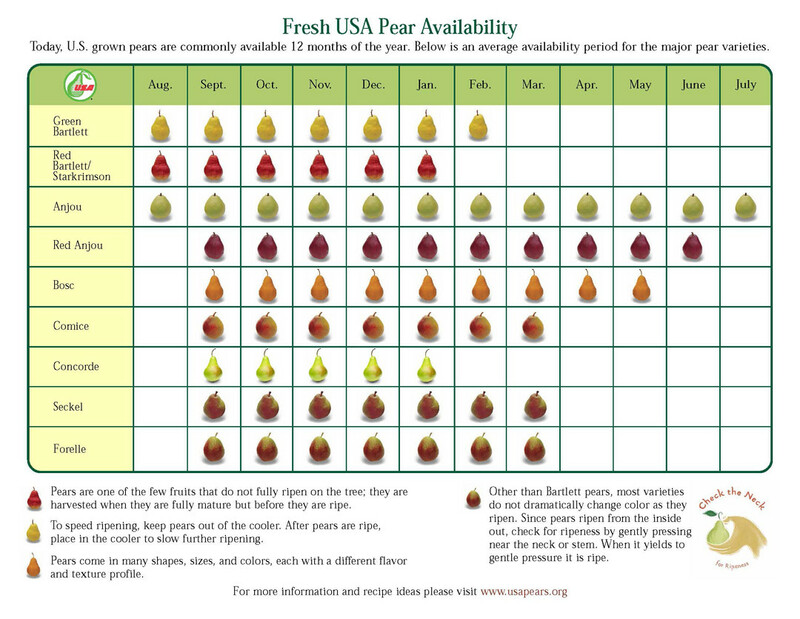 The above chart is the average availability period for the major pear varieties grown in the Northwestern states. Pears come in many shapes, sizes, and colors, each with a different flavor and texture profile. Pears are one of the few fruits that do not fully ripen on the tree; they are harvested when fully mature but before they are ripe.